For groups of eight or more, community members may request a tour of either the Art Museum or the Skinner Museum as well as any of our special exhibitions. For further information or to book a tour, email Kendra Weisbin, Associate Curator of Education, at kweisbin@mtholyoke.edu, or call the Museum’s main number at (413) 538-2245. If you are a K-12 Educator, please learn how to schedule a class visit. 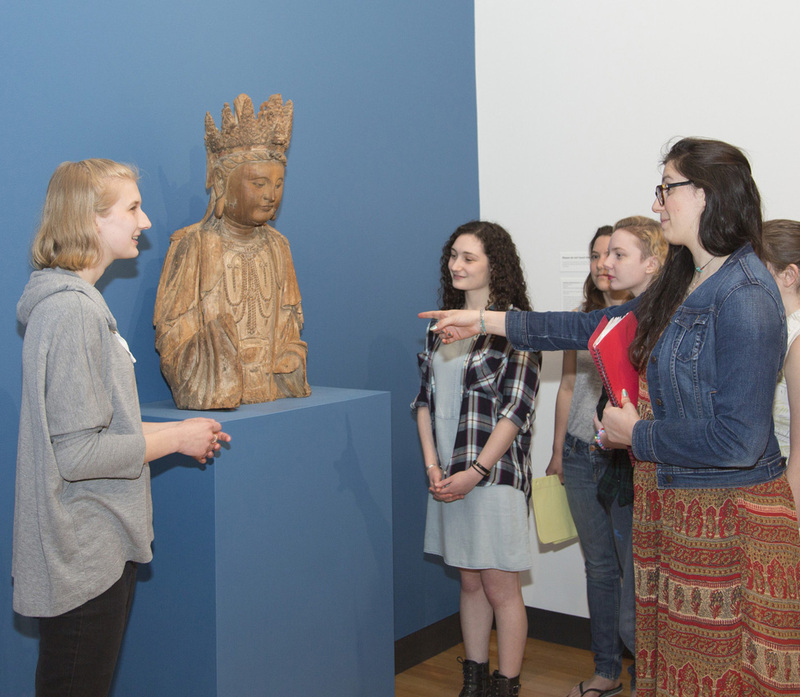 If you are a faculty member interested in scheduling a tour or visit for your class, please contact Ellen Alvord, Weatherbie Curator of Education and Academic Programs, at ealvord@mtholyoke.edu, or visit our Faculty page for more information.